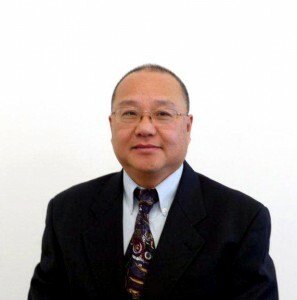 Mr. William Tien has over 20 years of experience in the finance industry. He was the finance broker in large project financials, including equity investments related to the Adelaide Chinatown acquisition in 1989 for A$24 million. Mr. Tien also setup a comprehensive wireless radio telecommunication network for West Africa in 1992 with the UN, in addition to two radio paging networks for the Chinese Military private operation in 1994/5 with 20,000 users. In 1995, Mr. Tien started one of the first corporate internet service providers in Melbourne, Australia with 200 users. In 1999, Mr. Tien conducted a reverse takeover of TIMEMAC PTY LTD into Chile Minera Ltd., and transformed it into a A$40 million public company within nine months, as the first voice recognition biometric system in Australia. In 2001, Mr. Tien operated United Wireless that provided a Mobitex radio national fire alarm monitoring system in Australia, which was involved in various reverse takeovers of Australian and US public listed companies, including PROGEN, ATECH, ECSI, ERAWAN, HARRINGTON, VOICENET, ALPHA LUJO and DOTWAP. Mr. Mak brings 20 years of experience in the design and technology industry. He was a founder and director of Logicsys Technologies, Inc a once publicly traded company on the CDNX with sales of over $30 million annually. He was also, president and founder of Eastgate Innovations, Inc. a product design and research and development company which owns several original patents and has licensed to several other companies. Mr. Mak was previously co-founder and director of Peceptek Inc.
Mr. KY Chan is currently a Professor in the Department of Chemistry, the University of Hong Kong. He obtained his B.Sc. from University of Alberta and Ph.D. from Cornell University, both in Chemical Engineering. In between his bachelor and postgraduate studies, he had been an assistant lecturer in Hong Kong Polytechnic and a project engineer in Hong Kong Oxygen & Acetylene Company. He had held temporary and visiting positions at Case Western Reserve University, University of Utah, and Tsinghua University. In the University of Hong Kong, he has maintained an active research program on molecular simulation, fuel cells, water treatment, materials, and electrochemical applications. Prof. Chan has published over 120 papers on various topics in electrochemistry, physical chemistry, chemical engineering, and materials with over 2000 citations. Currently, he is a Regional Editor of ”Journal of Experimental Nanoscience”. Prof. Chan has several inventions on fuel cells, ozone generation, hydrogen generation, and batteries with US patents issued.